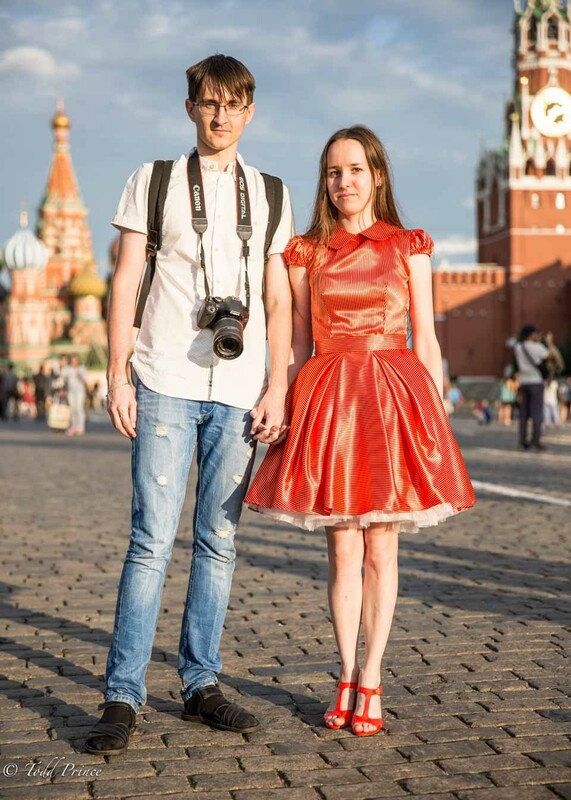 RED SQUARE: Ivan and Nadezhda, 22, were crossing Red Square right before sunset, Nadezhda’s bright dress making them stick out from the crowd. They said they live in the Siberian oil town of Surgut are in the middle of a long vacation. They came to Moscow to visit Ivan’s grandparents after a week-long stop in a Nizhny Novgorod village, where Nadezhda was born. They were then headed to Prague. Ivan and Nadezhda said they were in Moscow last year and I asked their opinion of the city. Nadezhda was surprised at the amount of street underpasses under reconstruction in Moscow. They said that Nadezhda’s mom joined them on the trip Moscow, a city the mom hasn’t visited in 26 years. Nadezhda’s mom was surprised by the changes in Moscow, in particular, the skyscrapers and refurbished parks. I asked Nadezhda and Ivan about their view of Surgut. Nadezhda would like to see a refurbished riverside in Surgut that she sees in her home region of Nizhny. Ivan, a future pediatrician, wants to see a specialized children’s hospital in Surgut as well as a refurbished train station. I asked how they met considering that Ivan grew up in Surgut in Siberia and Nadezhda in Nizhny. Ivan said that his friend went to study in Nizhny Novgorod and became friends with Nadezhda. The friend put the two in touch and then Ivan and Nadezhda continued to communicate by Internet until Nadezhda moved to Surgut. Ivan has a few more years to study to finish his medical training.